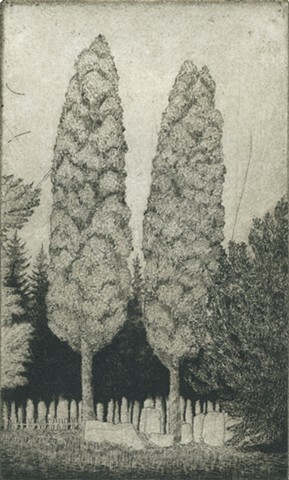 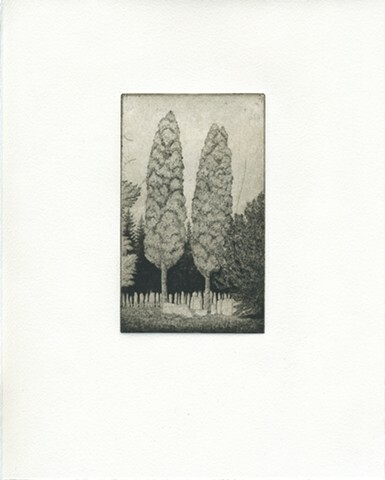 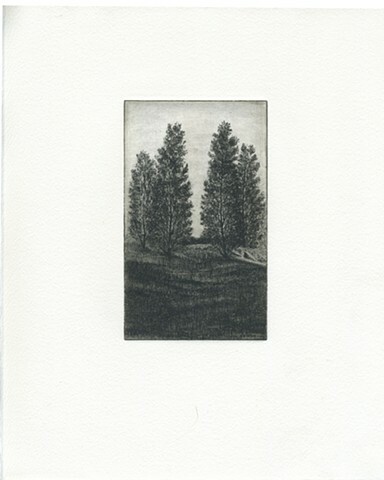 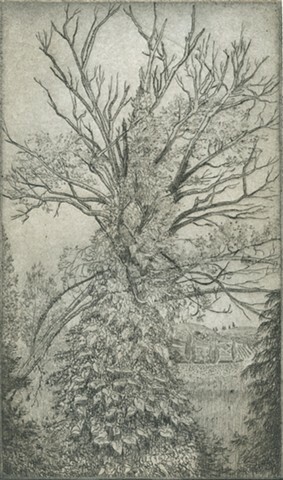 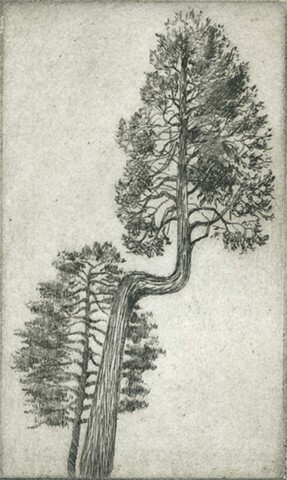 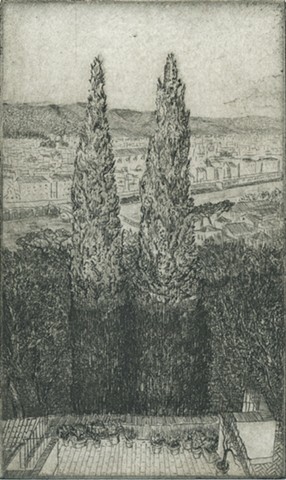 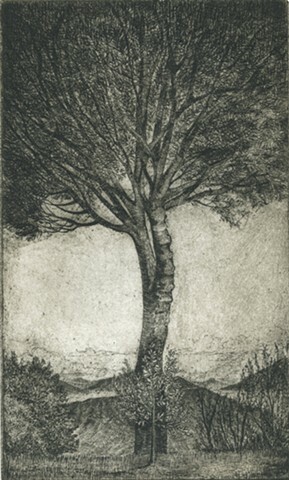 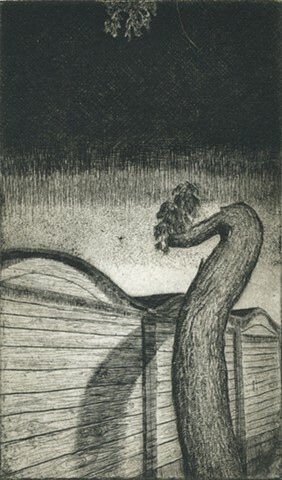 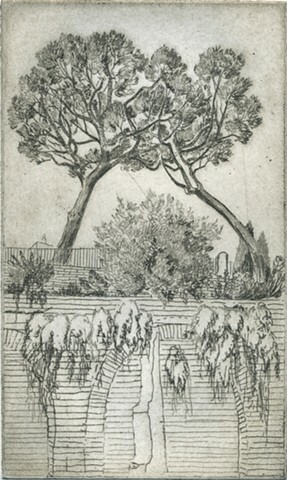 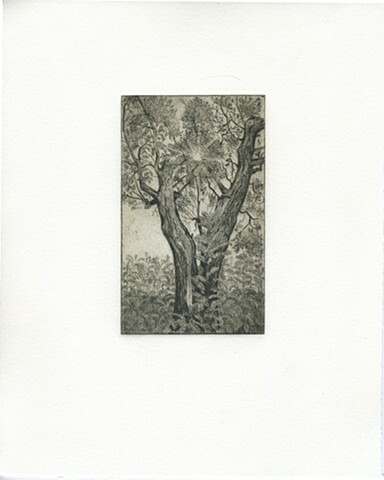 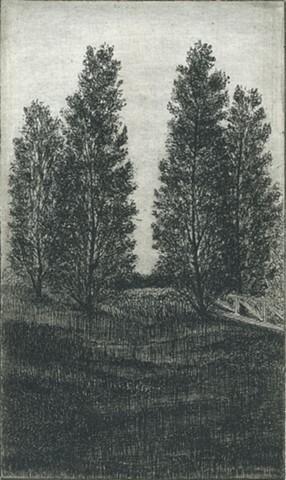 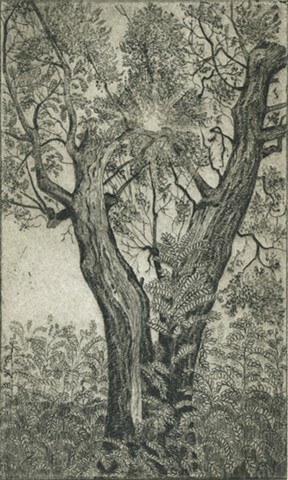 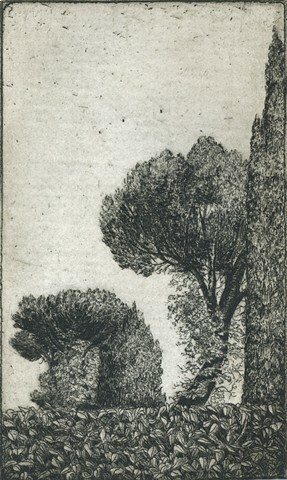 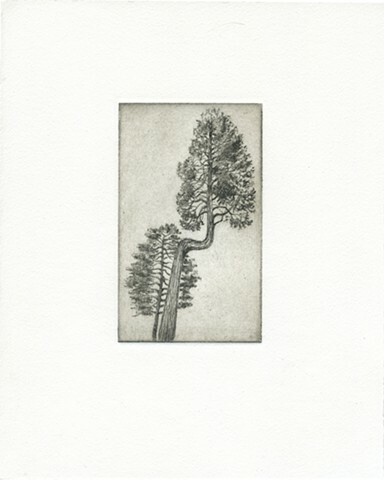 Alberi: Site Specific is a suite of 12 prints of trees encountered in Italy through the course of one year. 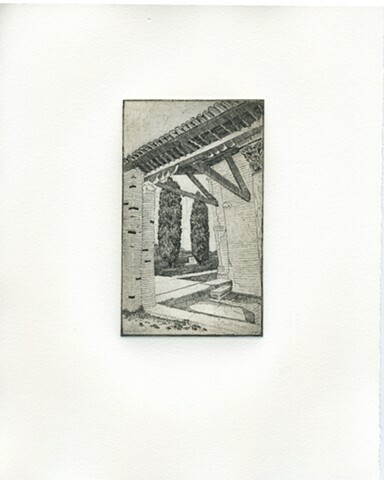 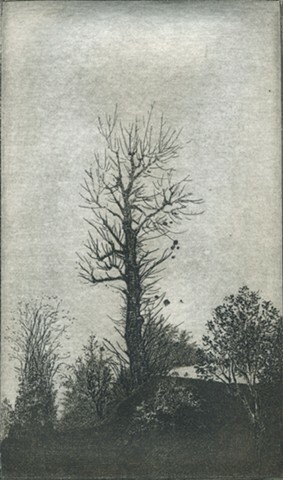 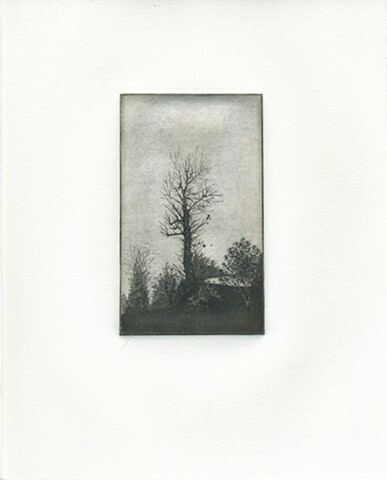 This group of prints are the result of an intense foray into drawing in miniature, retracing my own steps, locating sites of memory and the act of seeking and finding places in the tangible world, the virtual world, and the realm of reverie. 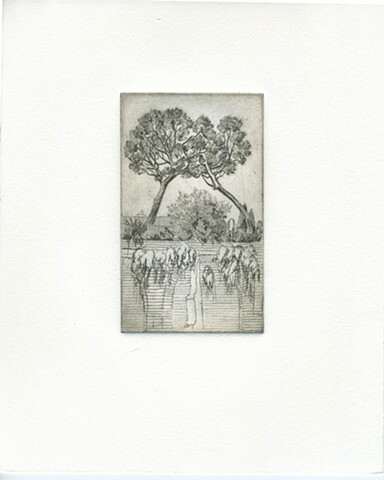 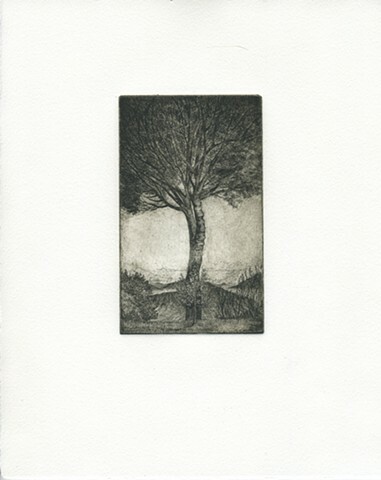 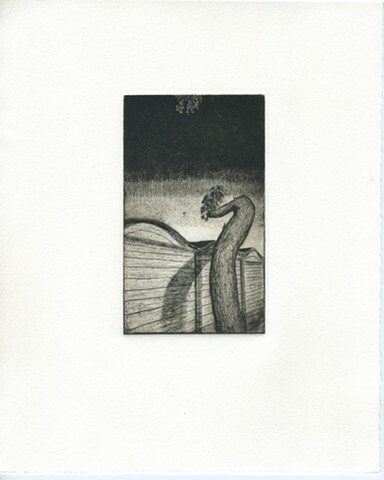 The line etchings are printed on Fabriano Tiepolo paper with letterpress printed colophon. 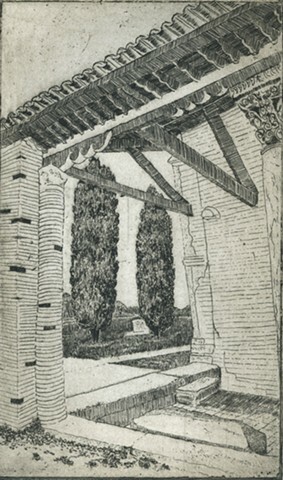 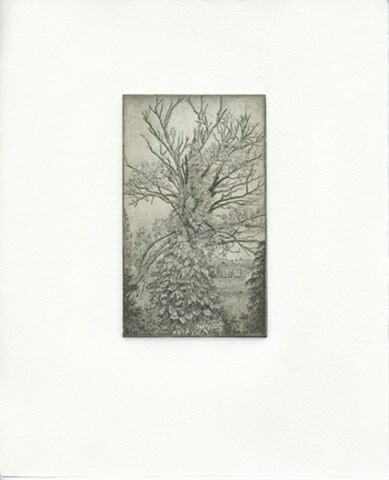 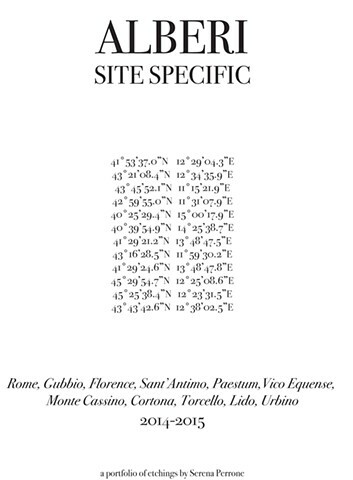 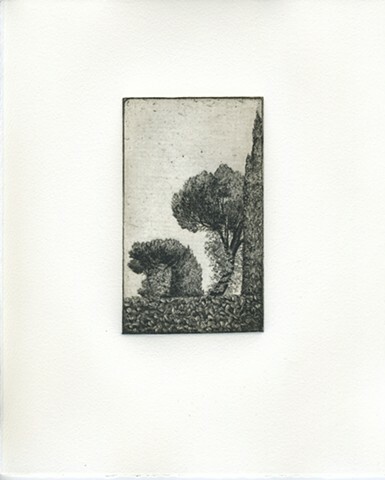 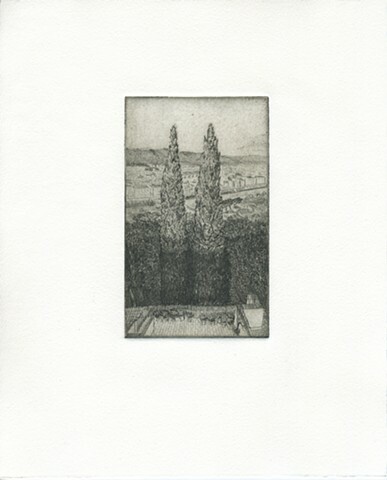 Image size: 3 x 5"; paper size 8 x 10", edition 7 + AP (2014-2015).